Description: We’ll do a brief demonstration of our photo and video technology. Topic: Creating Market Disruption using Technology, Rapid Accelerated Client Growth, Taking Your Business to The Next Level. Description: How do you please the “I want it now” generation? Take their photo and get it to them within 15 minutes or less. Scaling from 5 to 50 accounts and beyond, and how to handle the challenges that come along with adding accounts. Description: From initial Sales & Marketing, Picture Day, Production and Delivery. Learn more about the steps required to actually be in the school and sports photography business. Topic: Is franchising right for me? Your next steps. 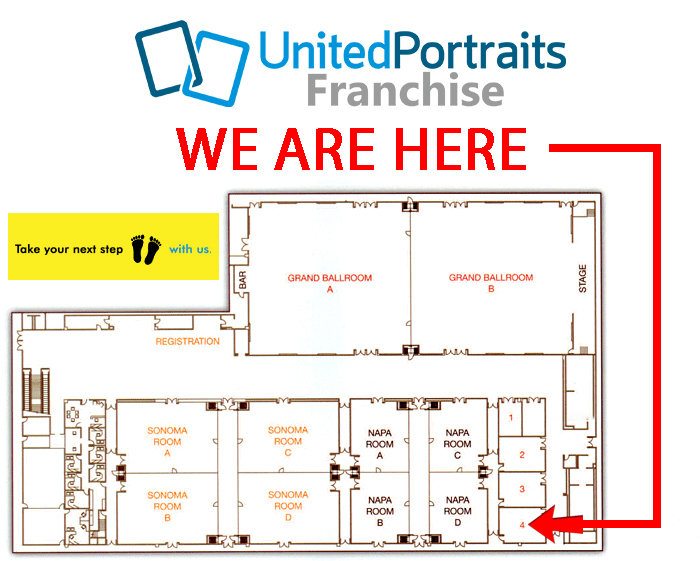 Description: Want to learn more about United Portraits? Learn about the pros, cons, and selection criteria for becoming part of the United Portraits family. If you’ve been wanting to meet us and have a serious discussion or have private questions that you’d like answered, this is the time/place!